BRAND NEW CONSTRUCTION - PORTICO (FORMER MODEL HOME) W/ FULL WALK-OUT B'SMENT INCLUDES FURNITURE !! This home sits on a beautiful homesite that backs to a community pond. Home has split bedrooms allowing everyone space and privacy. Owner's room has access to a screened porch that goes out to the large outside Trex deck. 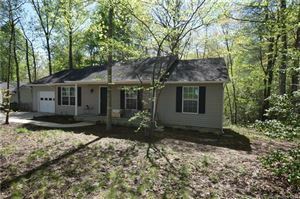 Home includes a finished, walk-out basement w/full bath, a separate area for possible bedroom and large rec /game room area. Great for entertaining or for when family visits. Kitchen has quartz countertops, SS Farm sink, GE SS gas range, dishwasher, microwave, French drawer refrigerator and subway tile backsplash. Main living areas have hardwood and all baths have ceramic tile. Home office/den has French doors and is centrally located allowing for a great view to the outdoor private deck/entertainment area. Guest bedroom is located in the front of the home with it's own hallway area and full bathroom. This is a beautiful home and a "Must See" ! !